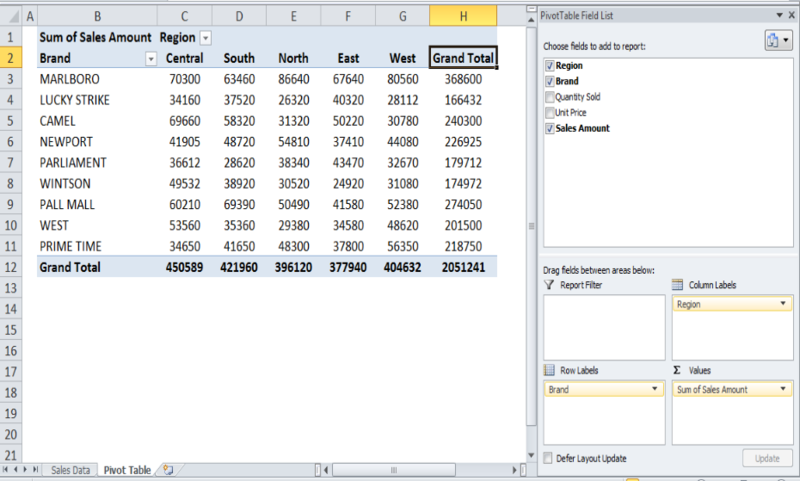 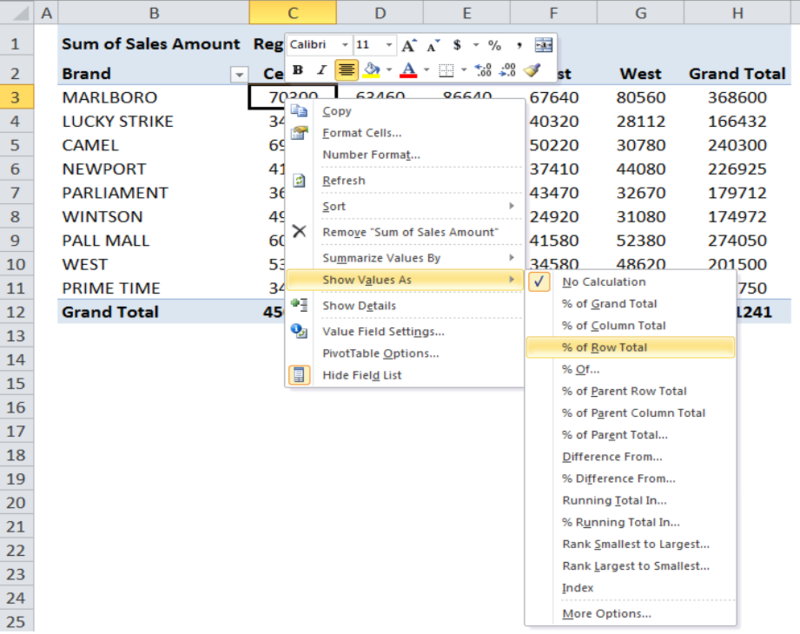 Excel Pivot Table is a very handy tool to summarize and analyze a large dataset. 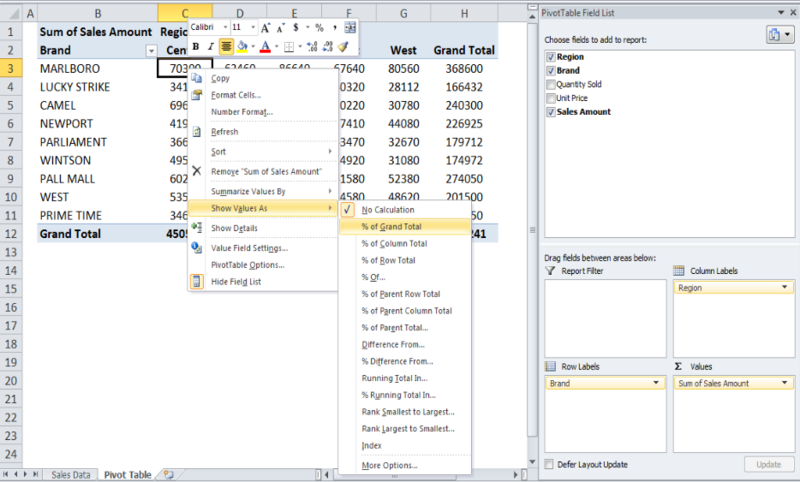 The Pivot Table has many built-in calculations under Show Values As menu to show percentage calculations. 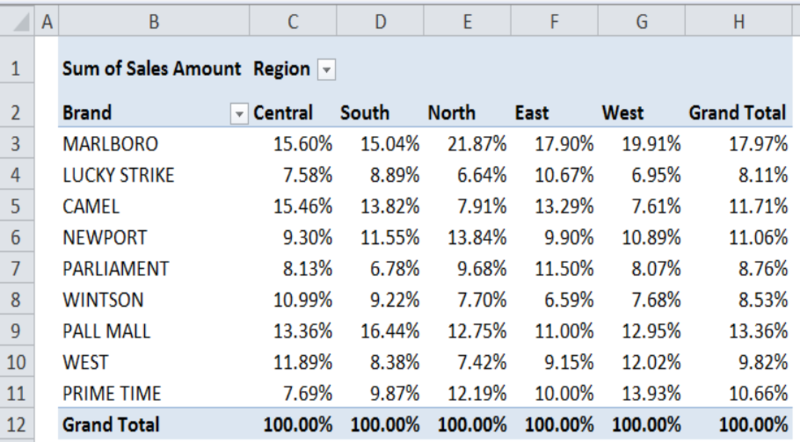 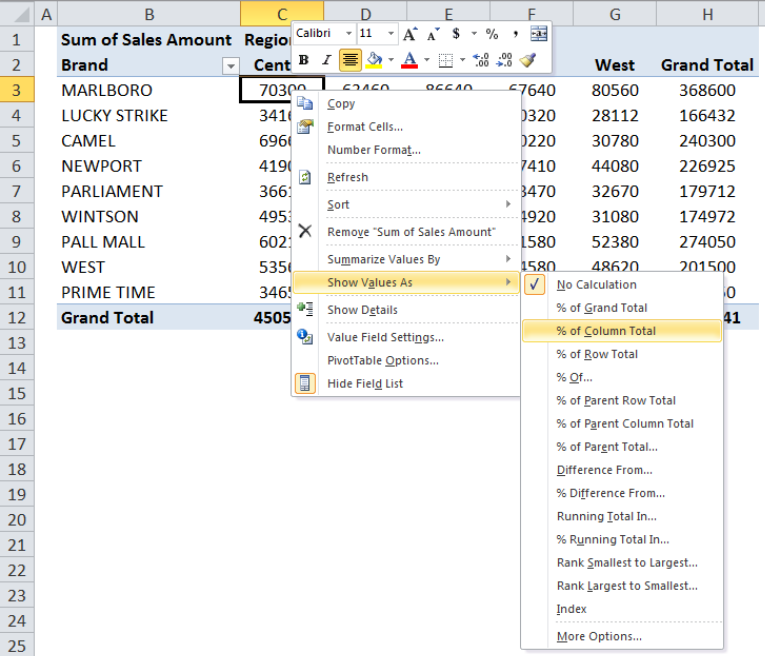 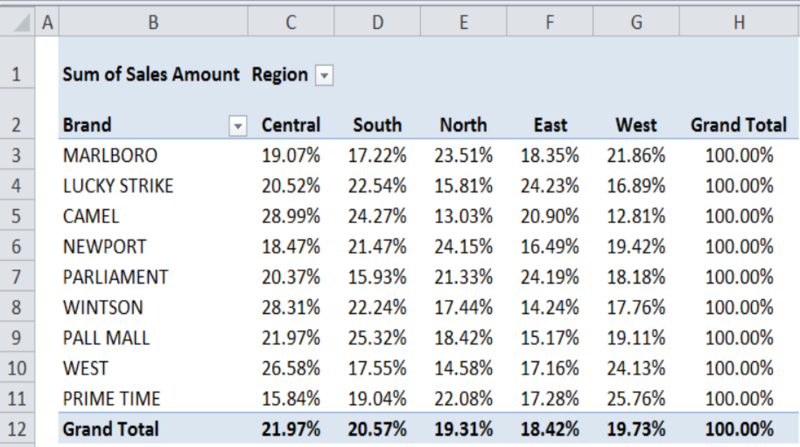 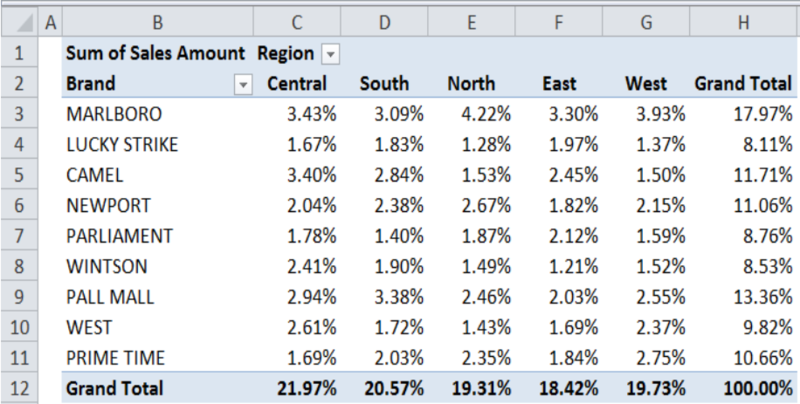 In a sales dataset of different cigarettes brands in various regions, we want to learn how to show Pivot Table percentages instead of Totals to compare amounts in calculations.